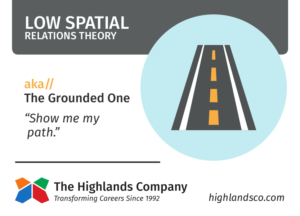 Our Spatial Abilities have a significant impact on how we reason through problems, and the Highlands Ability Battery (HAB) measures two of these – Spatial Relations Visualization (SRV) and Spatial Relations Theory (SRT). These two abilities need to be considered individually and together because it is possible to be strong on one and not the other. We covered SRV in our last post on Natural Abilities, so now we’ll turn to SRT. Spatial Relations Theory is the ability to think about interactional systems, both of a mechanical and interpersonal nature. 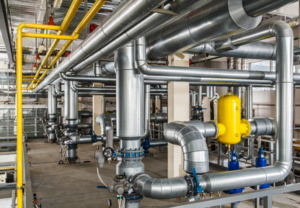 It is relatively easy to understand how this ability relates to tangible systems like machines, buildings, computer hardware, manufacturing, and set design. These all represent things that have many parts that must interrelate in order to work effectively. What may not be quite as obvious is how SRT affects your ability to think about interpersonal systems. Interpersonal systems exist in politics, organizations, families – anywhere there are groups of people and they are interacting with one another. 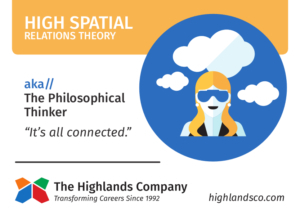 If you are at the high end of the continuum on Spatial Relations Theory, you theorize about the interactions in a subject for a future or hypothetical solution. Your reasoning ability compels you to understand the current relationships between things/people as well as the hypothetical relationships that could result from changes. If you are at the low end of the continuum, your natural ability is to focus on what is present, practical, and has a direct connection to solutions to a problem. Your reasoning compels you to work with what you have direct contact with rather than a theoretical or hypothetical scenario. Strong SRT allows you automatically think about how all of the parts or pieces interrelate – what happens between the parts. If you are strong in SRT, it is fairly automatic to reason or think about the impact of a single part on how all the other parts work together. This also means that those with mid-to-strong SRT can think hypothetically about the repercussions of making changes within the entity as a whole – what happens if something or someone is added? Removed? Changed? The downside to strength in this ability, as with any of the Driving Abilities, is overuse. Do you really have to know the theory of how an airplane stays up in the air to take a flight to your vacation destination? (I know, some of you with strong SRT are saying, “Seriously? Who doesn’t want to know the theory about everything?”). Low-range SRT allows you to stay focused on your part of the whole, making sure your piece works the way it is supposed to. If you have low-range SRT, it is fairly automatic to reason or think in a direct, practical way about what you are working on. While you can appreciate that what you are working on is related to a bigger picture of interrelated parts, you are less distracted or hampered by the hypothetical possibilities or theoretical relationships. The downside to having relatively low SRT is not recognizing the importance of learning what is essential to your current job. Does this mean that those strong in SRT never focus on practicalities and those in the low-range never focus on the hypothetical or theoretical? Of course not! We all learn to ascertain what is important in our work and learn to focus on aspects we may not naturally consider. However, what you learn in one job or situation does not automatically transfer to a new job or situation. For example, if on the Highlands Ability Battery you scored in the low-range on SRT, you may have learned that company politics are important. And over time, you may have learned the “politics” in your current organization. However, a job change will mean you will have to give yourself time to learn about the new political environment. If you’re the person strong in SRT, you start picking up on the company politics and players without thinking about it. Most people think of Albert Einstein as the mathematical genius with the crazy hair, in front of a black board filled with formulas. Those formulas are theoretical representations of how Einstein theorized and hypothesized about the physics of our world that informed our philosophy of science. His aptitude was working with the theoretical underpinnings of the mechanical universe. He developed theories and created hypotheses that we continue to operationalize (make concrete). If you are a teacher who works with students (and their parents), you know your work requires a direct, here-and-now manner. It’s important to reinforce a student that is especially engaged in a subject, or to address inappropriate behavior from another student, directly and non-theoretically. Yes, there are theories of teaching. I’m pretty sure, though, what is memorable to most of us, is the teacher that was there with us in the moment. Is this coming together for you now? Stay tuned for our next Natural Abilities post that will look at how the two Spatial Reasoning Abilities work in combination with each other.